Adjustable collar a great training aid. A Fully adjustable collar with check to help with the training of dogs that have a tendency to pull and be a little strong on the lead. Available with solid brass or chrome fittings in four widths. 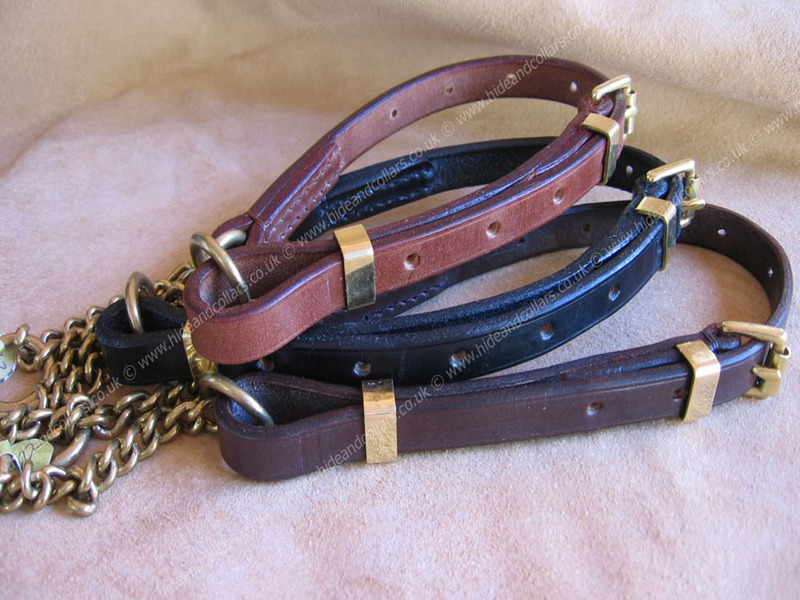 The 25mm width collar has a heavy, chunky chain suitable for larger breeds. 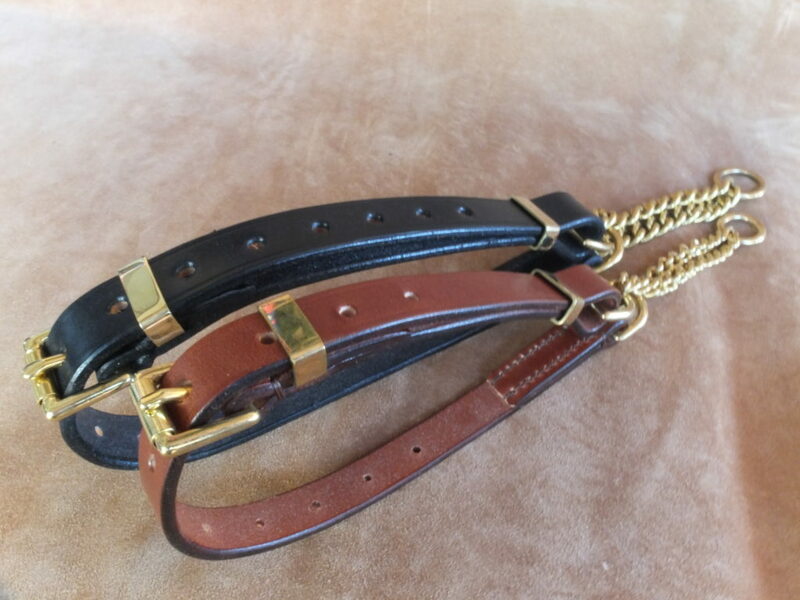 Be sure to measure correctly for this style of collar.